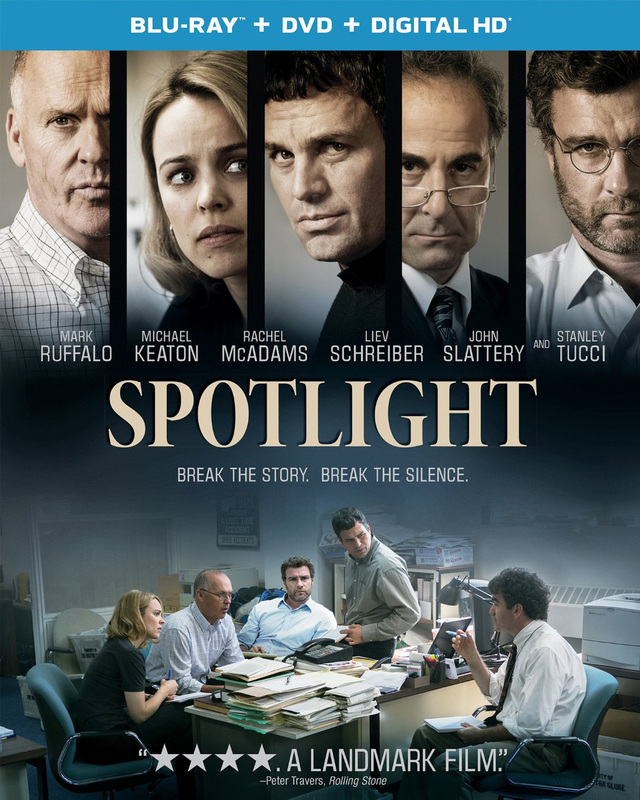 A true story of the dogged investigative team that blew the lid off a monumental cover up, “Spotlight” is available in a Blu-ray Combo Pack, DVD and On Demand on Tuesday, Feb. 23, from Universal Pictures Home Entertainment. It also is available on Digital HD. Directed by Academy Award nominee Tom McCarthy (“Up,” “The Station Agent”), this riveting drama goes behind the scenes of one of the most notorious scandals in recent history as a small group of intrepid journalists from the Boston Globe known as the Spotlight team, take on a seemingly unbeatable institutions—Boston’s influential Roman Catholic archdiocese. One of the most critically acclaimed films of the year, “Spotlight” is nominated for six Academy Awards including Best Picture, Best Supporting Actor, Best Supporting Actress, Best Director and Best Original Screenplay. Additionally, drama has been honored with other awards and tops several critics’ Top Ten lists. Michael Keaton (“Birdman”), Mark Ruffalo (“Foxcatcher”) in his Academy Award- nominated role and Rachel McAdams (“Southpaw”) in her Academy Award- nominated role, lead a critically acclaimed cast in this gripping story of the Pulitzer Prize-winning investigation that uncovered a scandal that rocked one of the world’s oldest and most trusted institutions. Delving into allegations of child abuse within the local Roman Catholic archdiocese, the tenacious newspaper journalists exposed a decades-long cover-up that reached the highest levels of Boston’s religious, legal and government establishments. An all-new “true crime” case in the acclaimed FX TV series “Fargo” takes viewers back to 1979 in Sioux Falls, S.D. and Luverne, Minn. 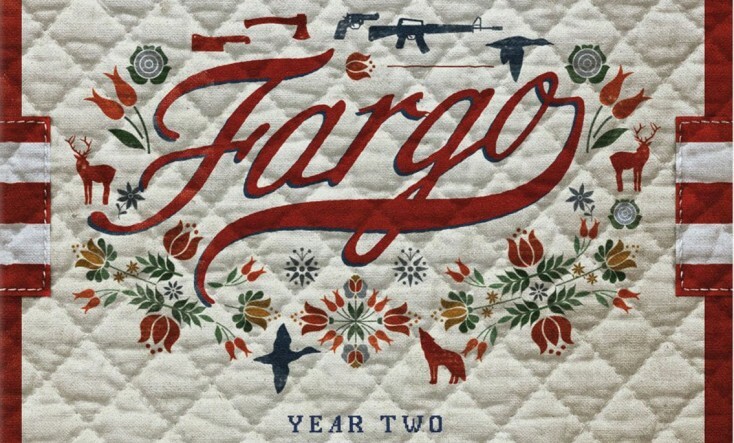 The 10-episode second season (or “Fargo: Year Two,” as it’s called) is available Tuesday, Feb. 23 on DVD and Blu-ray. Lou Solverson (Patrick Wilson), a young state police officer recently back from Vietnam, investigates a case involving a local crime gang, a major mob syndicate and a small town beautician Peggy Blumquist (Kirsten Dunst) along with her husband Ed (Jesse Plemons), the local butcher’s assistant. Helping Lou piece things together is his father-in-law, Sheriff Hank Larsson (Ted Danson). The investigation will lead them to a colorful cast of characters that includes Karl Weathers (Nick Offerman), the town lawyer of Luverne. A Korean War vet, Karl is a flowery drunk blessed with the gift of gab and the eloquence of a true con artist. Three-time Emmy winner Brad Garrett plays Joe Bulo, the front man for the northern expansion of a Kansas City crime syndicate. The new face of corporate crime, Joe’s bringing a Wal-mart mentality to small town America. His number two is Mike Milligan (Bokeem Woodbine). Part enforcer, part detective, Mike is always smiling, but the joke is usually on someone else. Bulo and his crew have their sights set on the Gerhardt crime family in Fargo, currently led by matriarch Floyd Gerhardt (Jean Smart). With her husband at death’s door, Floyd takes over the family business, frustrating her eldest son, Dodd (Jeffrey Donovan). An impatient hothead with a cruel streak to match his ambitions, Dodd can’t wait for both his parents to die so he can take over and expand their business from kingdom to empire. Bear Gerhardt (Angus Sampson) is the middle son, an intimidating and large man who, although inarticulate, is the most decent of his clan. Rye (Kieran Culkin), the youngest of the Gerhardt clan, views himself as a big shot, but in reality he’s just a small dog with a loud bark. Emmy award-winning executive producers Noah Hawley (showrunner/writer), Joel and Ethan Coen, Warren Littlefield and John Cameron all return for the second installment. The series received three Golden Globe nominations, including best television movie or limited series. Extras on the Blu-ray and DVD include: “Lou on Lou: A Conversation with Patrick Wilson, Keith Carradine and Noah Hawley,” “Waffles and Bullet Holes: A Return to Sioux Falls,” “The Films of Ronald Reagan: Extended ‘Fargo’ Cut,” “The True History of Crime in the Midwest” and “Skip Sprang” TV commercial. MGM Television and FX Productions produce “Fargo” for the FX Network in the U.S., with MGM Television acting as the lead studio and worldwide distributor of the series. Based on the turn-of-the-century stories by Somerville and Ross, “The Irish R.M. : The Complete Collection” arrives on DVD on Tuesday, Feb. 23, from Acorn, an RLJ Entertainment. Shot entirely on location in Ireland’s bucolic County Kildare, this classic PBS Masterpiece Theatre drama captures life in rural Ireland at the turn of the 20th century. This six-DVD box set features all three seasons (18 episodes), plus a bonus making-of featurette. It is available for a suggested retail price (SRP) of $59.99 at AcornOnline.com. The complete series is also available to stream anytime on Acorn.TV, the popular streaming service for British and other programming. “The Irish R.M.” features Beryl Reid (“Tinker, Tailor, Soldier, Spy”), Bryan Murray (“Perfect Scoundrels”), Niall Toibin (“Ballykissangel”), Anna Manahan (“All Dogs Go to Heaven”), Jonathan Ryan (“The Tudors”) and Sarah Badel (“A Perfect Spy”). The British period drama originally debuted in the U.S. on Masterpiece Theatre in 1984. Continuing the epic storytelling of Disney’s classic animated feature “The Lion King,” “The Lion Guard: Return of the Roar” tells the story of Simba and Nala’s second-born cub, Kion, and his Lion Guard team as they embark on adventures together throughout the Pride Lands. The DVD is available Tuesday, Feb. 23. Kion assembles a group of unlikely heroes: Bunga the honey badger, Fuli the cheetah, Beshte the hippo and Onothe egret. In this adventure sequel, Kion and his friends use their unique abilities to defend the Pride Lands from predators and maintain balance within the Circle of Life. Get your Scooby snacks ready because “Be Cool, Scooby-Doo!,” the newest adaptation of the classic animated mystery series, will be released on DVD for the first time Tuesday, Feb. 23 by Warner Bros. Home Entertainment. The world’s most famous animated Great Dane and his crime-solver human pals are back to entertain viewers with new mysteries, more cool adventures and non-stop fun in this updated version of the legendary cartoon. It’s a new look and feel for the Scooby-Doo gang as they hit the road in an updated Mystery Machine and get wrapped up in a set of intriguing new mysteries. Titled “Be Cool, Scooby-Doo! Season 1 Part 1,” this 13-episode set is available for $19.97 SRP. It boasts more than four hours of material on two discs. High school is over and Shaggy, Velma, Daphne and Fred have just completed their senior year. What better way to celebrate summer break than by going on a road trip? This could be the gang’s last summer together, so the teens decide to live it up by hitting the road in the Mystery Machine in search of fun, laughs and adventures. Along the way, the teen sleuths encounter some mind-blowing mysteries. “Be Cool, Scooby-Doo!” premiered on Cartoon Network last October, and continuous to rank No. 1 in its time slot for boys 6-11 and No. 2 for kids 6-11. Tags:DVD Releases, Fargo Year 2, Spotlight, The Irish R.M.